India has always been predominantly a Chai (Tea) drinking nation. Coffee has been only moderately popular in some southern states, other than that it has been Chai (Hindi term for Tea), Chahaa (Marathi term for Tea), cutting (Mumbai term for half tea cup), maramari (another popular term from western India for tea) all the way! However, there has been a sudden change in this trend with coffee becoming more and more popular in recent times especially among the younger population. The roadside Chai (Tea) thelas (shops) outside colleges and offices have been replaced by hip coffee joints like Barista and CafÃ© Coffee Day. The Chai (tea) that used to cost couple of rupees (5 cents) is replaced by coffee costing something like Rs. 100 ($2.50). India has now becoming one of the fastest growing coffee markets in the world. It is surprising though, that India has yet to get the taste of Starbucks coffee , the largest coffee shop chain in the world. The reason – Their proposal to enter India was rejected earlier by the Foreign Investment Promotion Board, a government body that approves foreign investment applications in India, on the ground that the equity structure was ambiguous. However, Starbucks still remains very bullish on India and company has decided to file a new proposal as the government sought some clarifications in its equity structure. According to Technopak Advisors, a global retail consultancy firm, the organized coffee retail business in India is over Rs.8 billion ($17 million), and the potential for coffee retail outlets are nearly 3,000. With the Indian middle class consumer ready to spend more and be a part of global lifestyle and culture, coffee parlours in the country are on an expansion spree. From small-sized coffee parlours to classy coffee lounges leading coffee retailers such as CafÃ© Coffee Day, Barista, Costa Coffee and Coffee World have all been fighting hard to lure India’s growing middle class. 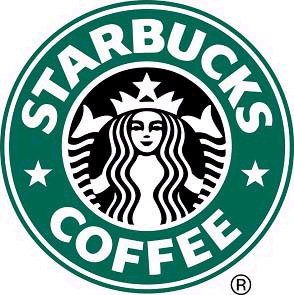 star bucks one of the leading brand in all over the world. but for india already lots of compititors are exist in market its hard for star bucks to beat them let seeeeee. and hope for the best. I think Starbucks can gain a very good market in India, this is because this is one of the very few brands which concentrates on quality of product and customer satisfaction. I hope to have a tast of this place soon enough! pls sent us starbucks email id we hve space for coffee company in c.p. can I get the email id of starbuks , I have a list of investors who are intrested in opening your franchises revert back me on this mail [email protected]. can you please give me the email id or any contact informtion I am interested in opening starbucks in baroda , gujarat.Do give me a reply on [email protected]. I had a starbucks capuchino and chicken pannini sandwich at the first starbucks outlet in india at horniman circle Mumbai. The multi grain bread was great. The chicken was meagre and of very poor quality. You need to have sachets of mustard/chilli sauce not just ketchup this is ‘spicy india’ ! WE HAVE SHOWROOM SPACE FOR SPACE ACROSS CHENNAI.CALL FOR DETAILS – 9080483237 / 9600125538. (IM REAL ESTATE AGENT). waiting for starbuks.starbuks coffe rocks..
its best coffee i have ever tasted..
Hii…….i m very keen to do business with u please give us opportunity to work with u.we are a leading real estate company we can provide u space any where in india according to your requirement. I would be interested to look into the operations and product development part of starbucks coffee in Hyderabad, India. I had work experience with Eight o’clock coffee and Tazo tea company (Starbucks coffee). Kindly let me know if there is anything I could do to help with the set-up in India. hi i am interested in taking up the franchise of star buck coffee …..
can you please tell me the basic requirements and procedure for the same…. I am an hotel management graduate and currently working with Cafe Coffee Day as operational trainee. I want to know about your plans in india since i am looking for an career in your esteemed organization. Looking for an early response from your side. I am planning a mela on "coffee culture in India": With innovative display of artefacts, tracing the foray of coffee, eventually beyond class and into the territory of chai.Â Anyone interested to work on the project, to, lets say, create a friendship with coffee giants please contact me. How can Starbuck not want into India? With the size of India’s Middle Class and the work culture — it is a perfect market. Maybe even better than the USA. Please read my post titled “The jinxed entry of Starbucks in India” …Starbucks is unable to open in INdia..
i wann 2 open coffee cafe in patiala(punjab).i have 20’*24′ shop in heart of city.pls guide anybody tht how i get franchise of as Barista, Costa Coffee and Coffee world. Mesmerized, I would put it this way…it is the culture change that is happening. Earlier the social networking used to happen in “Amrutattulyas (Pune term)” or “chai thelas” and now it is shifted to Barista’s and Cafe Coffee day…Although it is very- I mean very expensive change comparitively. However, you would not find many 30+ people hanging out at these coffee lounges- atleast thats what I assume…I have not been India for a while now and things change fast ! I do agree… many youngsters are hooked on too coffee (So as too say), but having a cutting at a road side thela is a different experience all together ( Yes im biased Chai lover). But on a serious notes these Coffee shops are a great place to meet and catch up with people, but they do attempt to leave a hole in your pocket.